I think a lot of the people who read my blog are also people who have read Quiet Hands by Julia Bascom. (I actually already linked to it in my own Rocking (and Flapping) at a 1000 Revolutions a Minute.) If you haven’t yet, please go do so either now or after you’ve finished reading this post. Julia got a massive response, as Quiet Hands went viral. It became very obvious that it was describing an experience that a lot of us have either experienced or have observed, sometimes unaware of the emotional and communicative consequences. One of the devastating effects of the phenomena that Quiet Hands describes is how it silences Autistic communication. For many of us- and particularly those of us with verbal communication difficulties- our hands are our primary communicative tool1. We stim with our hands, we supplement our language with gestures and pantomime, we use languages like ASL with our hands, we type with our hands, and even utilize AAC devices with them. Things we do with our hands is how we connect with one another- even if that community building isn’t recognized by others. So when our hands are stilled, we are silenced and isolated. What, with this context, does having “Loud Hands” mean? Obviously it would have to embody the opposite of- and possibly counter to- the silencing described above. The Loud Hands Project (which is being run as a project of ASAN) demonstrates a pretty good idea of what it could mean to have Loud Hands. The project description defines Loud Hands as “autism acceptance, neurodiversity, Autistic pride, community, and culture, disability rights and resistance, and resilience.” Essentially, efforts that work counter to the silencing and discrediting that comes with a culture that denies Autistics the ability to communicate in ways that are natural to us. From there, the plan is to focus on multiple mediums as a way of documenting and curating Autistic culture and community, particularly as related to the afore mentioned concept of what Loud Hands means. And I do mean curating- one of the stated goals is to collect and store some of the founding documents of the Autistic community. Another major direction is looking to be video projects, starting with the trailer (more on that in a moment). I’ve noticed a lot of brain storming for future videos for the LHP media collection, but the actual non-written media submissions aren’t open yet. (Opening of those submissions is still to be determined.) They are welcoming your ideas/brainstorming for future non-written submissions though! Eventually I believe that they will join the trailer on the Loud Hands Project Youtube channel. In the first 24 hours, the indiegogo campaign raised over $3000- and over $6000 at the end of the first week. As of 9:30pm January 10th (when I’m composing this entry) it hit $7463 USD. Fundraising ends March 15th with a goal of $10000 USD. UPDATE: January 14th the $10000 goal was met. They are still collecting funds though- see the bottom of this post for more on this! You can see the support levels, along with the number of people contributing at each level, at the LHP indiegogo page. Each support level has a different corresponding “reward” for your donation, ranging from a thank you email, to PDF pre-releases of the anthology, to signed hard copies donated to libraries in your name. I personally feel that it is a much needed project, and am totally excited about it. As such, I’ve been trying to contribute in any way I can to this effort. 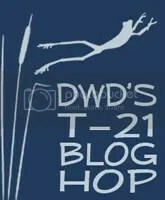 I wrote the Visual Transcription mentioned above, as well as designing the Blog Badges (shown below) and writing most of the how to on using them. I think another interesting feature of the campaign is how various accessibility measures have been added. The visual transcript for the trailer was requested before the campaign went live, which is kind of a big deal- while captions are becoming more popular, visual transcriptions are not as common. After all, they are time consuming to create- more so than image descriptions- and like image descriptions can be hard for people with visual processing issues to write. But they can be a big deal for visually based messages becoming accessible for the Blind, visually impaired individuals, and those with visual processing issues. Additionally, there has been a recognition that language processing difficulties can be a barrier in sharing stuff like this. Two days after the campaign went live, scripts for sharing LHP‘s campaign went live. This isn’t as uncommon to be accommodated, though outright recognition that it is an accommodation is, I think, less common. More often scripts get framed as “We recognize you are a Busy Professional Person™ who doesn’t always have time to handcraft sharing emails, so here’s an example you can use!” It has become something that, when present, isn’t seen as an accommodation, which would be great if it wasn’t for the resistance that those who do need this particular thing usually get when they have to ask for it. I think that in this context, the fact that the scripts are openly recognized as having an access function as well as being given in an overwhelmingly supportive manner in response to requests is significant. I hope you’ll join me in supporting the Loud Hands Project. I hope you’ll link it, share it, tweet it, blog it, and post it. I hope, for those who have the money for even the lowest level of support ($10) , that you’ll donate. That you’ll encourage others to donate. And, once the fundraising campaign is over, that you’ll continue to support the projects of the Loud Hands Project. I believe that we all should have Loud Hands, and that LHP is a great way to facilitate that. Not everyone is in a position where they can go and be safe stimming in public, or writing long blog posts, or have the supports to do speeches or attend protests or go to conferences like Autreat. But it is possible for some of us to do some of the little things- making a video or a painting, answering a mini-prompt, constructing things in our own natural languages that say, “I am here. I exist. I can be proud.” These are the core of what it means to have Loud Hands. The big things are great. But sometimes it’s the little ones together that end up being the loudest. 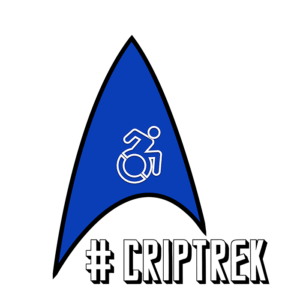 1 I recognize that some of us also have mobility difficulties that make using hands in particular not something that is doable. If you can think figuratively, hands is a stand in for all the other non-verbal techniques that people use to accomplish the things we are talking about. Our hands here are not just literally our hands, but our own means of communicating. The same goes for words like “voice” and “speaking”. UPDATE (January 16th, 2012): On January 14th The Loud Hands Project met their $10000 USD goal. That’s right, in 19 days you- the supporters- met a goal that was planned to take 80 days. Great Job! Seeing how much our community needs LHP, and with encouragement from indiegogo, LHP is going to continue fundraising through the original March 15th deadline with benchmark goals at $15,000, $20,000, and $25,000. 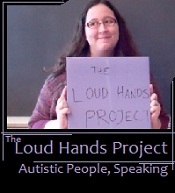 You can read the details on the projects at the Loud Hands Project blog, but they include more videos, more documenting of our community, more supporting Autistics pursuing community, and the launch of the website and all of the resources that will bring. It’s exciting- exciting because we need it, and exciting because it means that we won’t have to wait for the anthology to be a success before LHP will be able to start bringing more projects to us. Recommend this to our friends. Love this project. I plan to spread the word whenever and wherever I can. Hopefully by the time my daugher is your age, things will have improved. So excited about this project! Sharing and sharing it everywhere. I just discovered via this blog post https://thethirdglance.wordpress.com/2012/03/11/the-loud-hands-project/ that you’re the person who did the subtitling for the video used in fund raising for the “Loud Hands” project — THANK YOU for this! I’m deaf, so I was glad to find that the video was accessible for me! I try to caption my own videos, and when it was mentioned that Julia was looking for someone to do the visual transcript, I offered to do that. Discussing it with Julia, I decided to also do the captioning of the music as well. I hope someday we can live in a world where accessibility is a given, not something any of us has to demand.